China Mountain Bike manufacturer, Road Bike, City Bike supplier - Tianjin Liyade Industrial & Trading Co., Ltd.
Mountain Bike, Road Bike, City Bike manufacturer / supplier in China, offering 27.5"Alloy Suspension Shimano Hydraulic Disc Brake Mountain Bike, Hot Sale 29" Alloy Mountain Bike, Men Gender and Aluminum Frame Material Mountain Bike and so on. Welcome to our workshop to pay a visit to our production process! 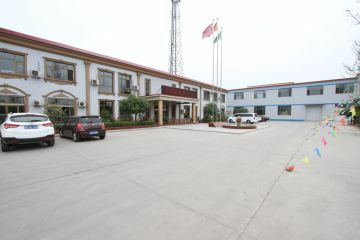 Tianjin Liyade Industry and Trade Co., Ltd is located in Wuqing District, Tianjin City. The factory is founded in 1997, during the 20 years development, we grow up into a bicycle manufacture giant focus on a succession of procedures such as design, research and development, production, sales and so on. We have the professional team and advanced equipments. We aim to supply the deluxe and chic products, to lead the vigorous and healthy riding culture.